Adelaide bus drivers withdrew from planned protest action over the weekend due to forecasted extreme heat. 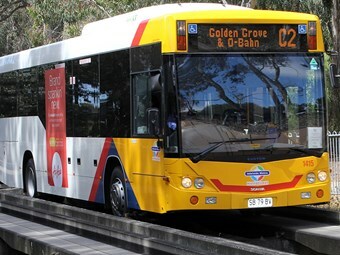 The strike was planned for last Sunday as workplace agreement negotiations between the Transport Workers Union and operators SouthLink and Transfield (Light City Buses) continue. The negotiations have so far seen no improvements to drivers’ security, working conditions or pay. The strike was planned in addition to drivers not collecting fares and not enforcing ticket validation while – which will continue indefinitely. Drivers are also wearing t-shirts with the slogan "It’s Time to Build a Better Bus Industry" while working. An update on the TWU website says every member is doing a great job enforcing the actions. "Despite the companies trying to make things difficult, the support that we have received from the public has been overwhelmingly positive," it reads. The TWU advises they will update members with any new plans for stoppage action.